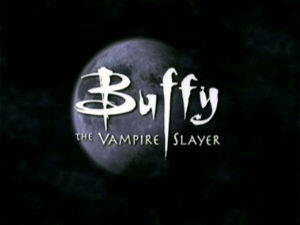 One of the first things my spouse introduced me to after we moved in together was the TV show Buffy the Vampire Slayer. 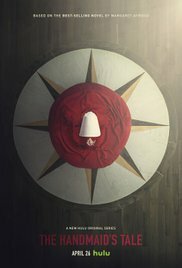 Last year I felt that same surge of excitement when I heard that one of my favourite books of all time, The Handmaid’s Tale, was going to be turned into a series. While my husband read that story years ago, I wasn’t entirely sure if he was planning to watch it with me when I first brought up the idea. I grinned as soon as he said he was willing to give it a try. If there’s a book, album, song, TV show, or movie you’ve been wanting to share with someone, keep these tips in mind when you’re explaining to them why you think they’d love it as much as you do. My spouse told me that Buffy the Vampire Slayer was science fiction, horror, satire, comedy, romance, and drama all rolled into one. He gave examples of these elements of the plot that were as specific as they could be without giving away any spoilers. I was immediately intrigued. Stories often jump between two or even three genres, but I’d never heard of one that tried to be so many different things at once. It was even more interesting to think that this had been a success! The fact that he could so clearly explain how all of those genres came to be fused into one single tale made me want to give it a try. Every time I recommend Jean M. Auel’s Earth’s Children series to someone, I make sure to note that the storytelling changes a lot from the first book to the last one. I have a strong preference for the writing style of the first few books, and I’m not afraid to tell people that. This doesn’t mean I’m any less a fan of her work. There are other stories that I enjoy even though they presented certain groups in stereotypical ways or were a little problematic in general. You can love something and still see things in it that you really wish had been told in a different way for any number of reasons. If someone can admit that their favourite piece of pop culture isn’t perfect, it makes me more willing to give that book or show a try. There’s a fine line between being excited about something and overlooking any flaws it may have. My favourite singers have certain songs that I would immediately start playing if someone asked me why I enjoyed their music so much. In some cases, this would mean jumping back and forth by years or even decades in their catalogue. This isn’t possible in some cases, of course. A TV show that builds complex and interrelated storylines over time might not make sense if you jump into the middle of season 4. Sometimes you really do have to start at the beginning. Buffy’s first season wasn’t the best part of that show, but it still needs to be watched in order to understand what happens later and why certain things were foreshadowed early on. Not everyone will become a fan of the new things they try. For example, I watched several Doctor Who ep isodes before deciding that it’s not my cup of tea and I won’t be watching it again. There were a few specific scenes that I enjoyed, but the storylines in general simply don’t appeal to me. One of the things I admire in a person is the ability to accept that not everyone will love the same things they do. People’s preferences are complicated. Sometimes those preferences can shift over time, but in other cases someone is never going to love that thing that you can’t get enough of. There’s something fascinating about getting to know someone by paying close attention to what they do and don’t like. As much as I want to recommend The Handmaid’s Tale to everyone I meet, someone who doesn’t like speculative or dystopian fiction wouldn’t be a good match for this tale. I appreciate it when others give me this same level of attention. Over the years I’ve tried all kinds of things that I wouldn’t normally read, listen to, or watch. Sometimes I end up enjoying them, and sometimes I don’t. I especially like trading ideas with people who take my suggestions seriously as well. Recommending stuff is like dancing with someone. There’s a natural pattern of give and take to it that works beautifully if everyone involved understands the rhythm.